Boracay is not just about the white beaches, luxurious hotels, sumptuous restaurants and modern-day adventures; it is also a home to a simple work-of-art – the Boracay Hand-Painted Shirts. 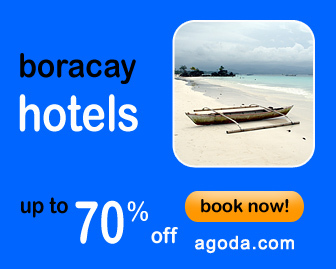 It is one of the many wonders that can be found in Boracay Island in the Philippines. The hand-painting talent of the local folks is just magnificent and eye-catching to both locals and foreigners as they paint these shirts along the white-sand beach in Boracay. Boracay Hand-Painted Shirts can be found near the entrance of D’Mall in the Lonely Planet stall near the beach at Station 2. These shirts are “made while you wait” which means that you choose the color of your shirt from either white or black (I don’t know if other colors are offered), then wait for about an hour (if you’re willing to) to get your lovely hand-painted Boracay shirts with your name on it. It depends on what letters/words you want to be written in the shirt, you can also choose from several designs for the background/design of the letters. Boracay hand-painted shirts can be bought at P600-P1000 depending on the color of the shirt, the number of characters and the design you want.